Our organization is a renowned manufacturer and supplier of a wide range of Strip Packs Foil. Supplied in soft reel form, these foils have high strength and durability due to which they are widely demanded in the market. 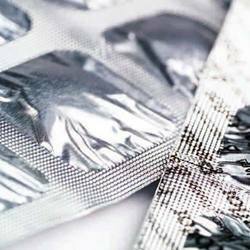 Fabricated from pure grade aluminum foils, our range is widely applicable for pharmaceutical packaging. Offered range comprises strip packs foil that are tested on various parameters of quality to ensure delivery of defect-free range at the customers' end. We offer these foils in various specifications and customization facility is also available to suit the client’s demands. Manufactured by our highly experienced professionals, we are offering Strip Packaging Foil using soft temper aluminum foil laminates. These foils are highly recommended for packaging pharmaceutical items such as tablets and pills. Offered at very reasonable rates, these foils are stringently tested to ensure that the highest industry standards of quality are followed. For Pharmaceutical packaging use only. Looking for Strip Packs Foil ?